5888 Yonge Condos is a new condo development by Plaza Corporation currently in preconstruction at 5888 Yonge Street in Toronto. 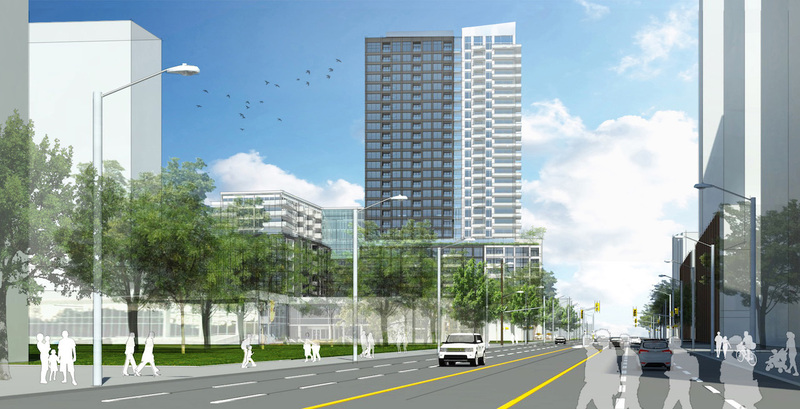 5888 Yonge Condos will be located just North of Yonge Street and Finch Ave, giving you incredible access to every amenity you might desire. Enjoy a cosmopolitan selection of foods from organic grocery stores to traditional and specialty stores and all the finest restaurant establishment all steps away from home. At the same time, the Condo is set back enough that it creates a beautiful combination of convenience and comfort. Quiet and exclusive residential living in the heart of the North York City Centre. 5888 Yonge Condos will also feature world class amenities, like a state of the art spa. The superior standards and revolutionary design will make this condo a world class condo surrounded by plenty convenience with the North York centre and transit options.